Samsung Galaxy S7 vs Galaxy S6, Is It Worth Upgrading? The Samsung Galaxy S7 and S7 Edge are Samsung latest smartphones, both handset come with an number of upgrades over the Galaxy S6 and S6 Edge, so we compare the Samsung Galaxy S7 vs Galaxy S6 to see what is new in Samsung’s latest smartphones. The Samsung Galaxy S6 was a popular smartphone for Samsung, although there were some features missing on the handsets that Samsung has now fixed with the release of the Galaxy S7 and S7 Edge, the major one being the addition of a microSD card slot on the new S7 handsets. There is also an improved battery, plus a new camera with less megapixels that is designed to provide you with better photos and videos, plus this years S7 and S7 edge are fully waterproof. The design of the two handsets is very similar, although Samsung has made some minor changes to the exterior of the S7 over last years S6. You can see a list of the key specification on the Samsung Galaxy S7 vs Galaxy S6 below, the handset share similar specifications, although the S7 gets new processors, more RAM and of course the all important microSD card slot, there are more details on both handsets after the table. The Samsung Galaxy S7 comes with a 5.1 inch Super AMOLED display that has a Quad HD resolution of 2560 x 1440 pixels, this years handsets gets a new feature on the display called always on which shows information on the display all of the time even when it is in standby. The Galaxy S6 comes with a 5.1 inch Super AMOLED display that also has a Quad HD resolution of 2560 x 1440 pixels, this handset does not feature the always on display like the Galaxy S7. The displays on both handsets are very similar, sharing the same resolution and screen sizes. 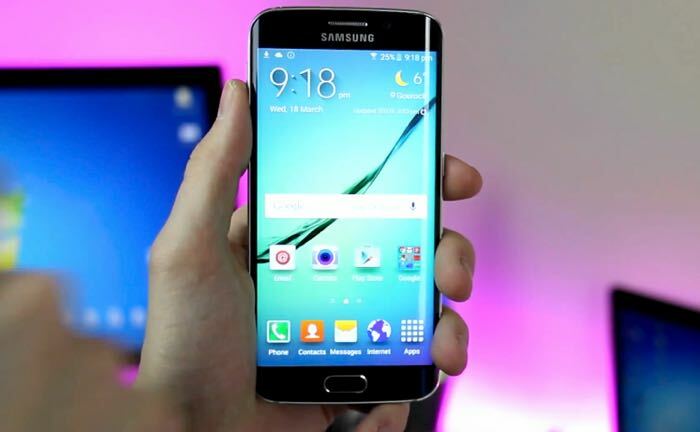 The Samsung Galaxy S6 was equipped with an octa core Samsung Exynos 7420 processor, the device did not come with a Qualcomm Snapdragon processor due to over heating concerns over the chip. This years Samsung Galaxy S7 comes with two processor options depending on the region, you either get the new Qualcomm Snapdragon 820 processor or Samsung’s own Exynos 8990 processor. The Galaxy S6 features 3GB of RAM and the Galaxy S7 features 4GB of RAM, the Galaxy S6 came with three storage options, 32GB, 64GB and 128GB, this was fixed storage that could not be expanded and Samsung fans were not happy about this when the S6 launched. Luckily Samsung decided to bring back the microSD card slot with the launch of the Galaxy S7, the handset now comes with 32GB of built in storage which can be expanded by up to another 200GB thanks to the microSD card slot. The Samsung Galaxy S7 and Galaxy S6 feature a 5 megapixel front facing camera for selfies and video chat, the rear cameras on the two handsets are different. The Galaxy S6 comes with a 16 megapixel camera with auto focus, optical image stabilization and the ability to record 4K video at 30 frames per second. Samsung decided to focus more on image quality rather than megapixels with the Galaxy S7, it actually comes with a 12 megapixel camera as opposed to the 16 megapixel on the S6, although it is capable of providing better photos and videos than the larger megapixel camera on the S6. The Galaxy S7 camera can record 4K Ultra HD video at 30 frames per second, it can also shoot 9 megapixel photos at the same time it is recording the 4k video. It comes with a range of features than include Auto HDR, face detection, smile detection and a panorama mode. The Samsung Galaxy S7 and Galaxy S6 share a similar design, the S7 is actually slightly thicker than the S6 and slightly heavier, the S6 weighs in at 136 grams and the S7 152 grams. Battery life is where there are major differences between the two handsets, the S6 was equipped with a 2550 mAh battery and the handset did not exactly have the best battery life, Samsung has improved things with the S7, it comes with a larger 3000 mAh battery which brings significant improvements to the battery life of the device, even with the always on display. Samsung has also made the new Galaxy S7 and S7 Edge handsets fully waterproof. Samsung Galaxy S6 vs Galaxy S7, Is It Worth Upgrading? The Samsung Galaxy S7 and S6 may share a similar design, but the Galaxy S7 gets a number of upgrades that may make it worthwhile to upgrade. The improved camera will temp many Samsung fans to upgrade and and also the significant improvement in battery life could be a draw for some, as will Samsung bringing back expandable storage. The company made a mistake by removing the expandable storage with the Galaxy S6, luckily they realized this and brought the microSD card slot back to the Samsung Galaxy S7, much to the delight of Samsung fans. The Samsung Galaxy S7 will cost you around $670 without a contract, the Samsung Galaxy S6 retails for $579, although it can be found cheaper at a number of online stores. For the extra $100 the Galaxy S7 is definitely worth paying the extra money for if you are choosing between the two devices. For people looking to upgrade from the S6 to the S7 it is not as clear cut, is the improved battery, better camera and expandable storage enough to make people want to buy the new device ? 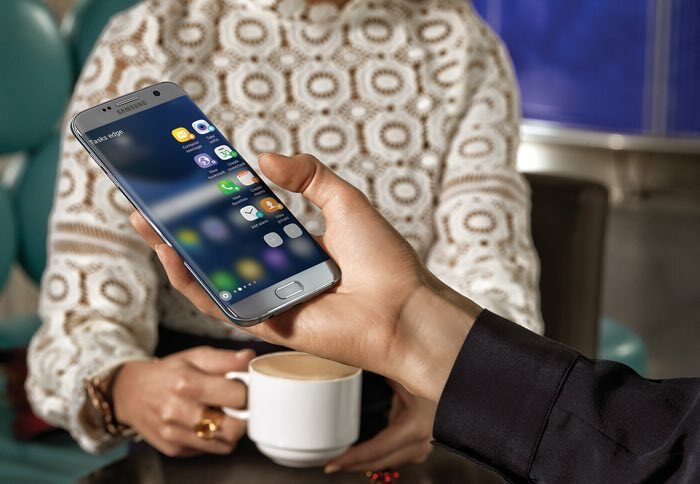 We suspect that many owners of the Galaxy S6 will want to upgrade to the S7 for these changes that Samsung has made. Initial reports have suggested that the new Galaxy S7 and S7 Edge are popular and it looks like this years models could end up being more popular that last years Galaxy S6 range. You can find out more information about the new Samsung Galaxy S7 and Galaxy S7 edge over at Samsung at the link below.